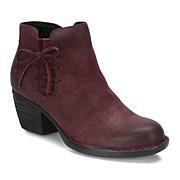 Feel fashionably at home in country or city wearing the Silvio. This streamlined riding boot is designed for comfort, with a padded insole and microfiber lining. But she's a beauty on the outside whether handcrafted from leather or suede, and she'll last and only look better with age. A full side zipper eases the entry and makes tucking pants a cinch. 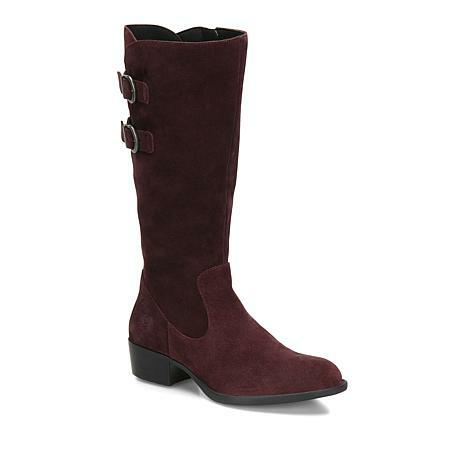 Love these BURGUNDY Born Riding Boots. 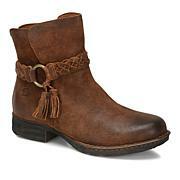 Girls try these boots! The color is beautiful. The boots are perfect! The burgundy arrived today and they are beautiful and also very comfortable. I put them on as soon as they came and am wearing them still, 3 hours later and they feel good. You won't be disappointed. I love this boot. 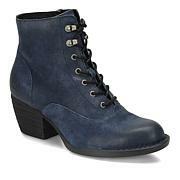 Am an 8 1/2 - great secure and comfortable boot. Amazing Born leather quality and stitching on sole. I would recommend to anyone looking for a boot that looks more expensive than it is.